Đalovića Pećina is the longest cave in Montenegro, with over a 11 km length of the corridors. In years 2003 – 2013, systematic activities of our Czech colleagues resulted in the discovery of more than 2km of new corridors hidden behind the 1st and 2nd siphon. The general plan of the cave and the parts behind the siphons is shown in the figures below. In 2014, we organized together with Czech partners next expedition. Its goal was to try dive through the 3rd siphon. Despite the great commitment of both sides and overcome many organizational difficulties, there has been no diving – we were stopped by high water level in the cave and corridor flooded up to the ceiling, blocking acces to siphons. On the other hand we have done a huge amount of cartographic work, measuring and documenting photographically not flooded parts of the cave. 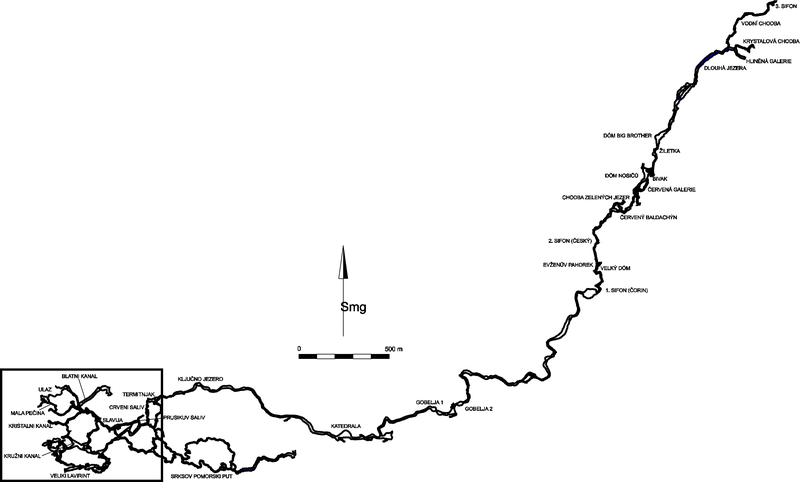 The outcome of our works was clarification of the general plan of the cave on 2.8 km length section – the result can be admired in the figure below. The square frame on a gray plan refers to the overall size of the cave. It wasn’t until a 2015, using a huge amount of resources the 3rd siphon was defeated, unlocking next 645 m length of cave. Discovery of Crystal Corridor, located between 2nd and 3rd siphon, gave further 159 m. This corridor has a unique dripstone forms with a number of crystalline formations unseen so far in this cave. 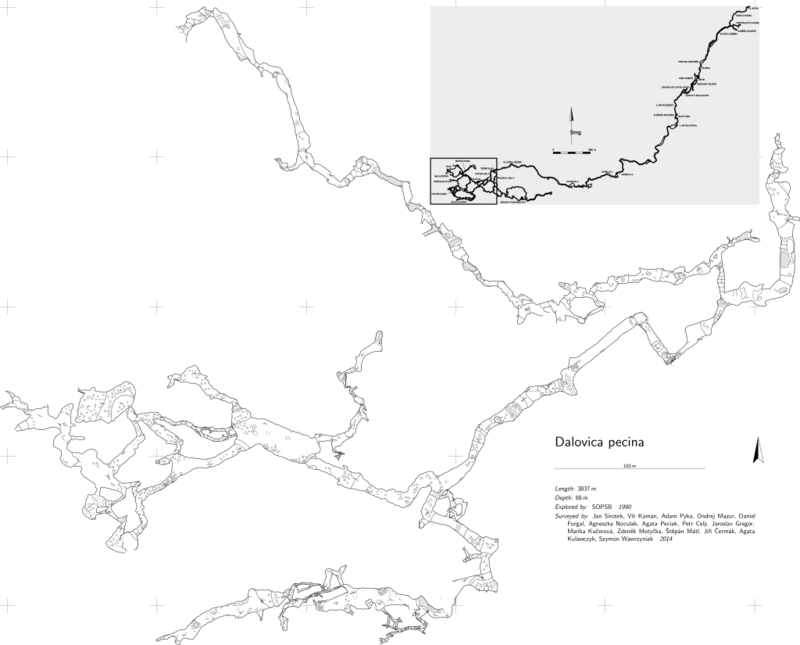 Expedition Meduza 2015 has enabled also for detailing a documentation of the cave. The measurement of the cave main passage was completed with the result of 4779 m length of the corridor from the entrance to the 1st siphon. It is a very long way, which every member of the expedition had to overcome several times during transportation of the necessary equipment for diving. 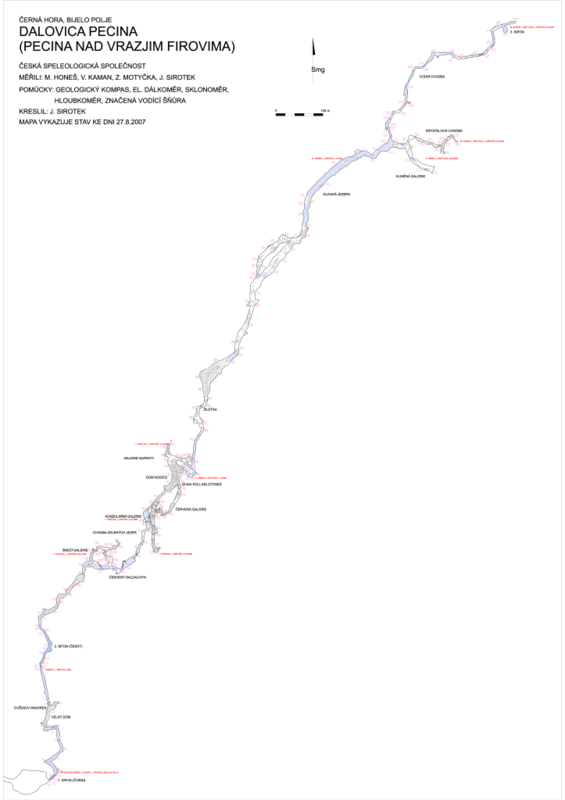 The results of the expedition Meduza 2015 are described HERE. Is it the end of the exploration? Definitely not! Our divers after defeating 3rd siphon and passing by 645 m length of the corridor came across another 4th siphon. The cave seems to have no end, but our determination in its exploration after facing new difficulties is even stronger!